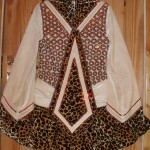 Stunning and strinking Siopa Rince Leopard Print and cream puffball dress for sale. 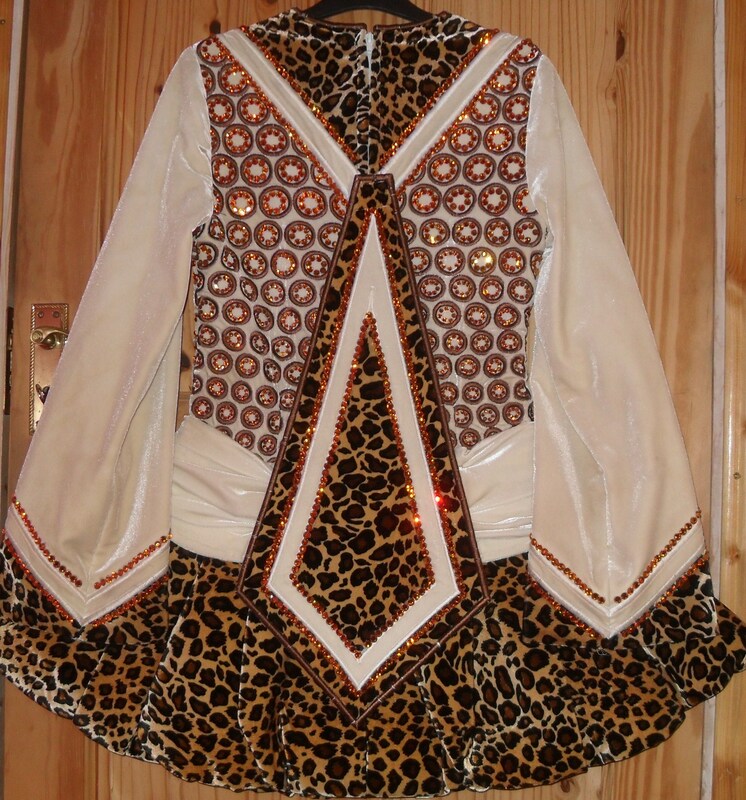 This Costume has great stage presence. 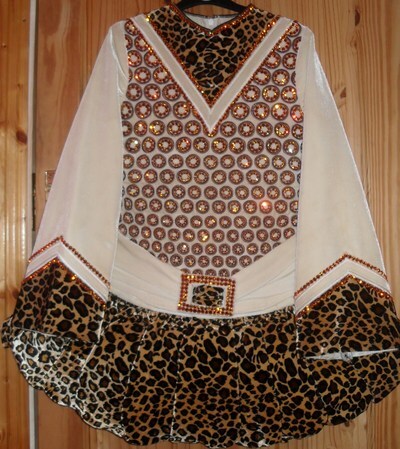 This costume is covered in swarovski crystals. It has a very unusual belt detail attachted to the dress. 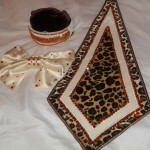 Includes kick pants, head band and choice of two shawls…Extra Diamontes included.